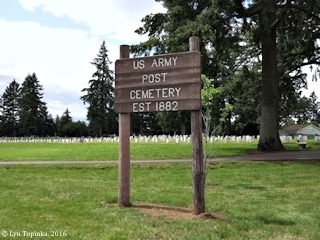 "Vancouver Barracks Post Cemetery, Vancouver, Washington"
Click image to enlarge Vancouver Barracks Post Cemetery sign, Vancouver, Washington. Image taken May 29, 2016. The Vancouver Barracks Post Cemetery was established in 1882 and is located north of the main Barracks compound. 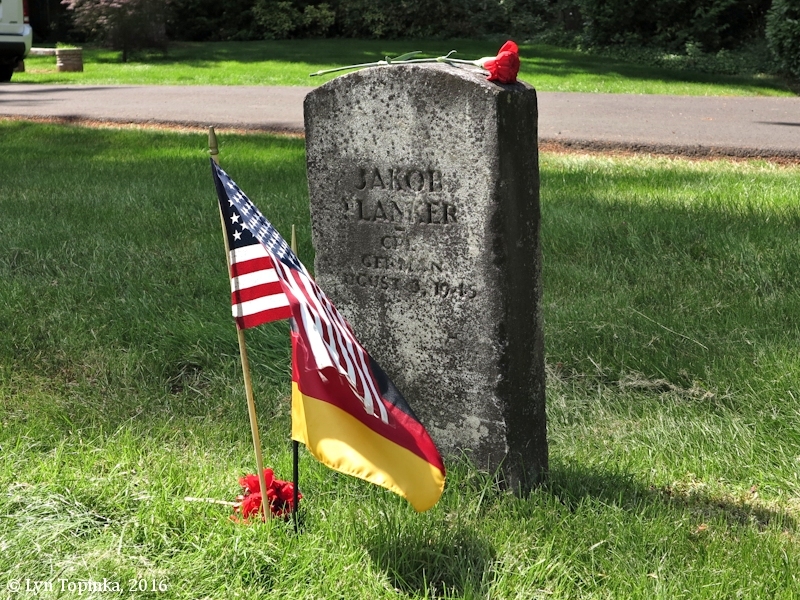 Click image to enlarge Vancouver Barracks Post Cemetery, Vancouver, Washington. Image taken May 29, 2016. 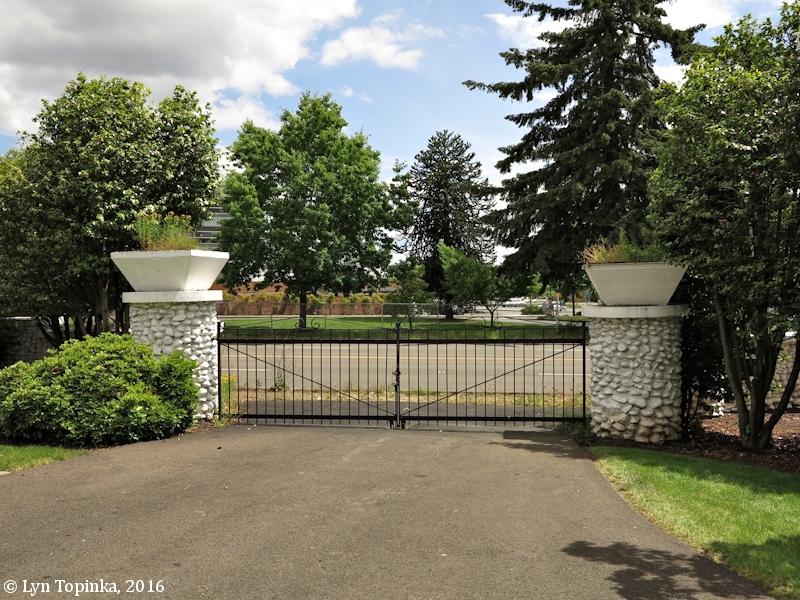 Click image to enlarge Original entrance, Vancouver Barracks Post Cemetery, Vancouver, Washington. Image taken May 29, 2016. 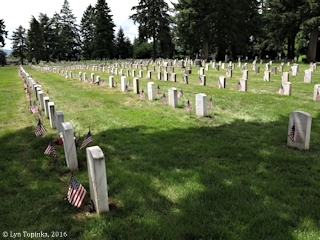 Click image to enlarge Memorial Day, Vancouver Barracks Post Cemetery, Vancouver, Washington. 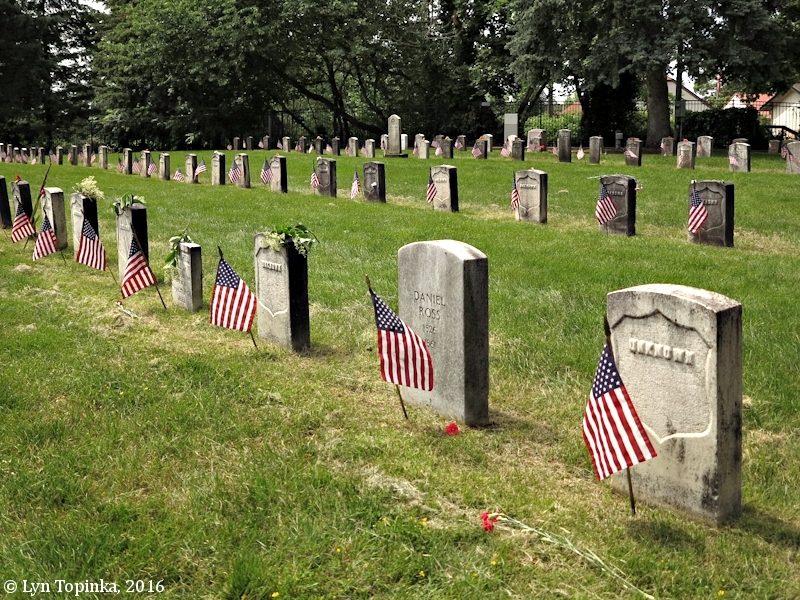 Image taken May 30, 2016. 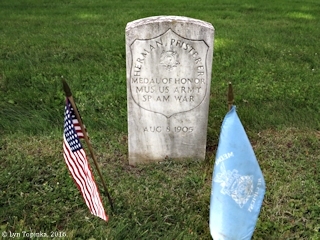 The Medal of Honor is the highest award for valor in action against an enemy force which can be bestowed upon an individual serving in the Armed Services of the United States. It is generally presented to its recipient by the President of the United States of America in the name of Congress. Four Medal of Honor recipients are buried at Vancouver Barracks Post Cemetery. Click image to enlarge James Madison Hill. 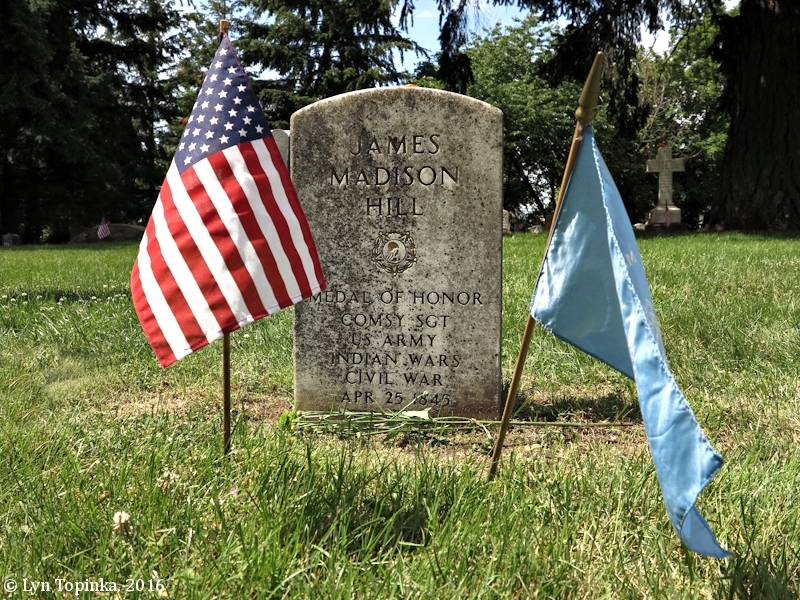 1875 Medal of Honor Recipient First Sergeant James Madison Hill, Memorial Day, Vancouver Barracks Post Cemetery, Vancouver, Washington. Image taken May 30, 2016. 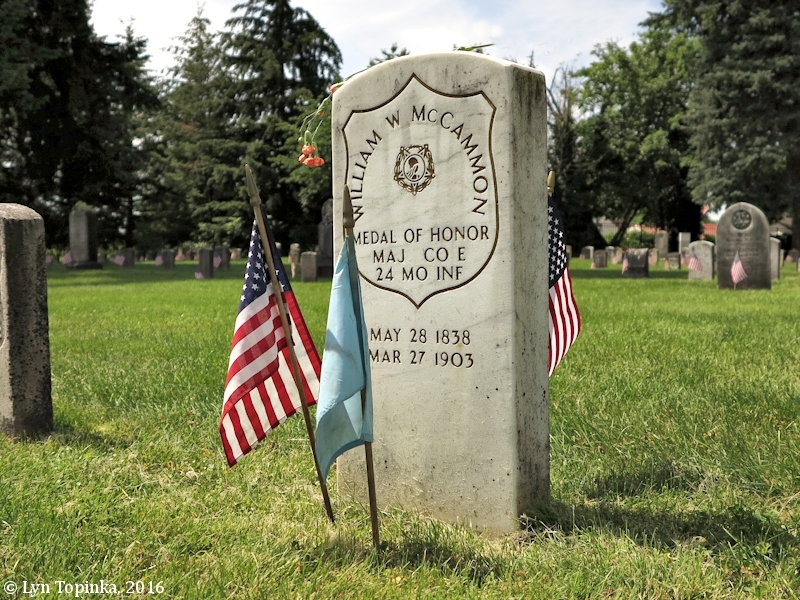 Click image to enlarge William McCammon. 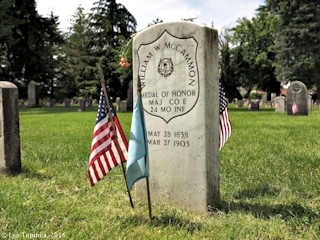 1896 Medal of Honor Recipient Major William Wallace McCammon, Memorial Day, Vancouver Barracks Post Cemetery, Vancouver, Washington. Image taken May 30, 2016. Click image to enlarge Moses Williams. 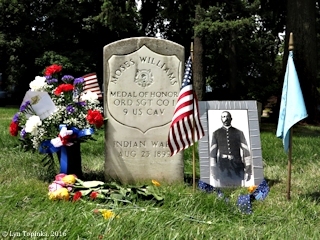 1896 Medal of Honor Recipient First Sergeant Moses Williams, Memorial Day, Vancouver Barracks Post Cemetery, Vancouver, Washington. Image taken May 30, 2016. Click image to enlarge Herman Pfisterer. 1899 Medal of Honor Recipient Private Herman Pfisterer, Memorial Day, Vancouver Barracks Post Cemetery, Vancouver, Washington. Image taken May 30, 2016. Click image to enlarge 1945 German Prisoner of War Private (?) 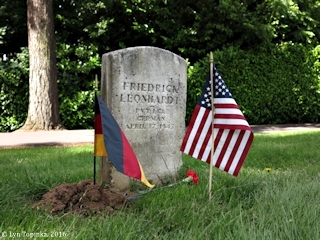 Friedrick Leonhardt, Memorial Day, Vancouver Barracks Post Cemetery, Vancouver, Washington. Image taken May 30, 2016. Click image to enlarge 1945 German Prisoner of War Corporal Jakob Planker, Memorial Day, Vancouver Barracks Post Cemetery, Vancouver, Washington. Image taken May 30, 2016. 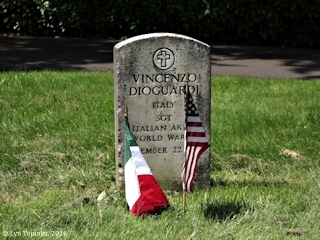 Click image to enlarge 1945 Italian Prisoner of War Sergeant Vincenzo Dioguardi, Memorial Day, Vancouver Barracks Post Cemetery, Vancouver, Washington. Image taken May 30, 2016. 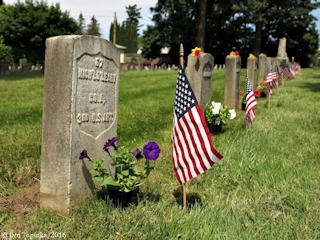 Click image to enlarge Private Michael O'Leary, Memorial Day, Vancouver Barracks Post Cemetery, Vancouver, Washington. Image taken May 30, 2016. 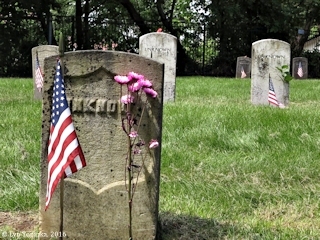 Private Michael O'Leary passed away February 8, 1859. 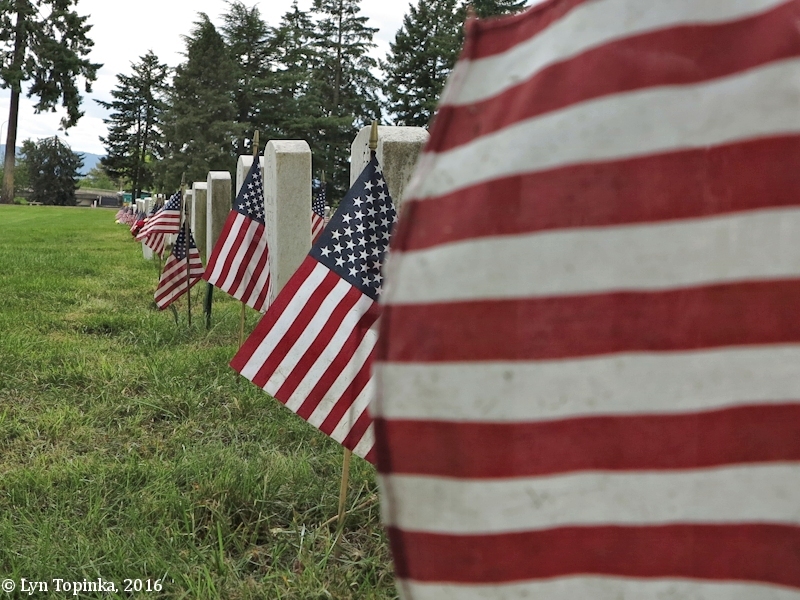 [Source: Vancouver Barracks Military Association website, 2016] ... Presumably Private O'Leary was interred at the 1857 Post Cemetery before being re-interred at the 1882 Post Cemetery. 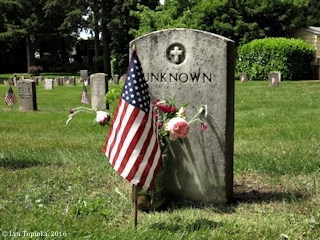 Click image to enlarge "Unknown", Memorial Day, Vancouver Barracks Post Cemetery, Vancouver, Washington. Image taken May 30, 2016. 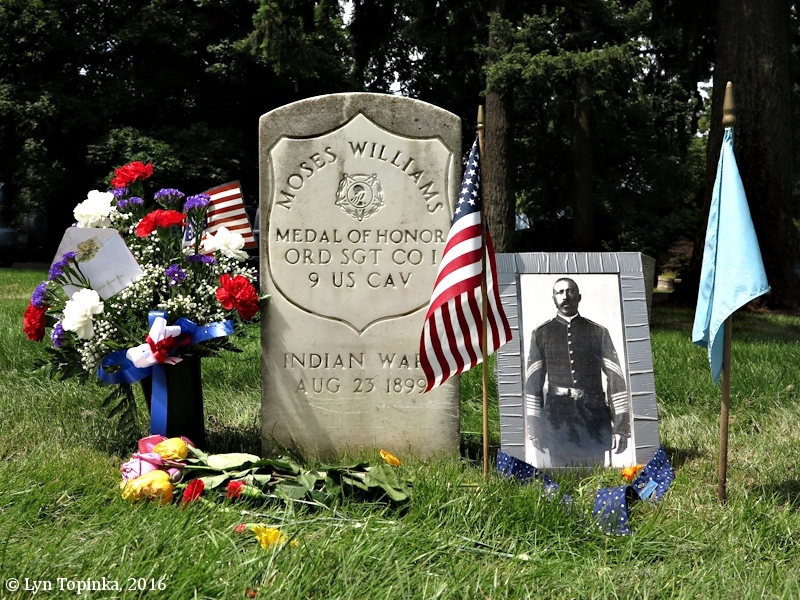 Click image to enlarge Native American Rolla, Memorial Day, Vancouver Barracks Post Cemetery, Vancouver, Washington. Image taken May 30, 2016. 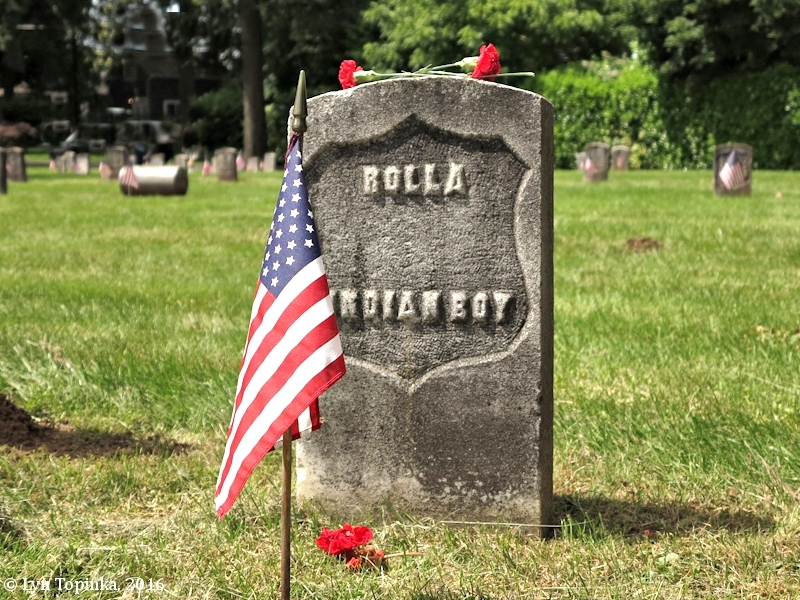 Rolla is listed as a "Indian Infant Boy" civilian who died on August 10, 1860 and was interred on August 11, 1860. [Source: Vancouver Barracks Military Association website, 2016] ... Presumably he was first interred at the 1857 Post Cemetery before being re-interred at the 1882 Post Cemetery. 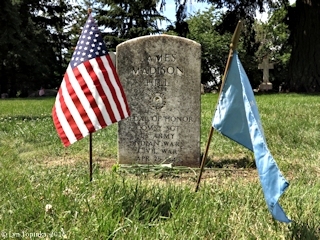 Click image to enlarge Civilian W.F. 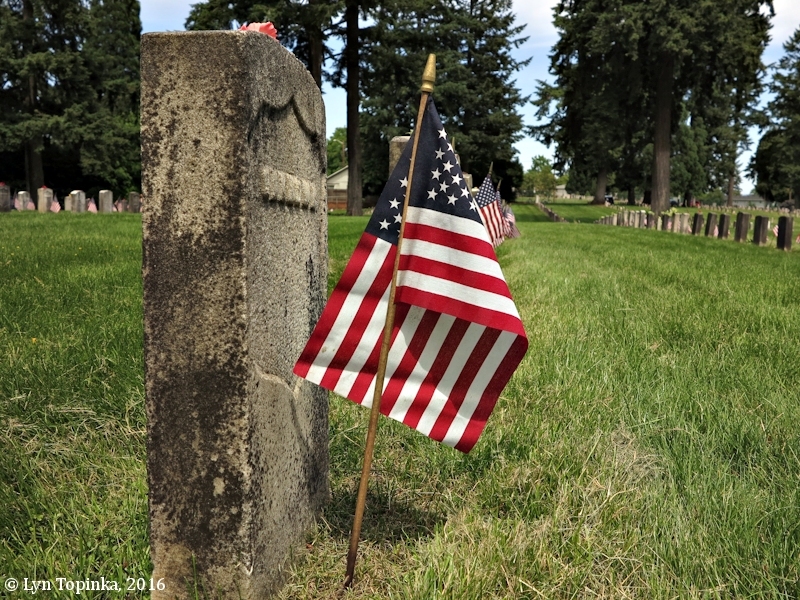 Grate, Memorial Day, Vancouver Barracks Post Cemetery, Vancouver, Washington. Image taken May 30, 2016. W.F. 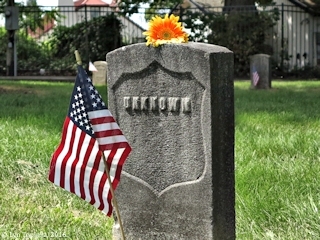 Grate's headstone says he is a civilian. 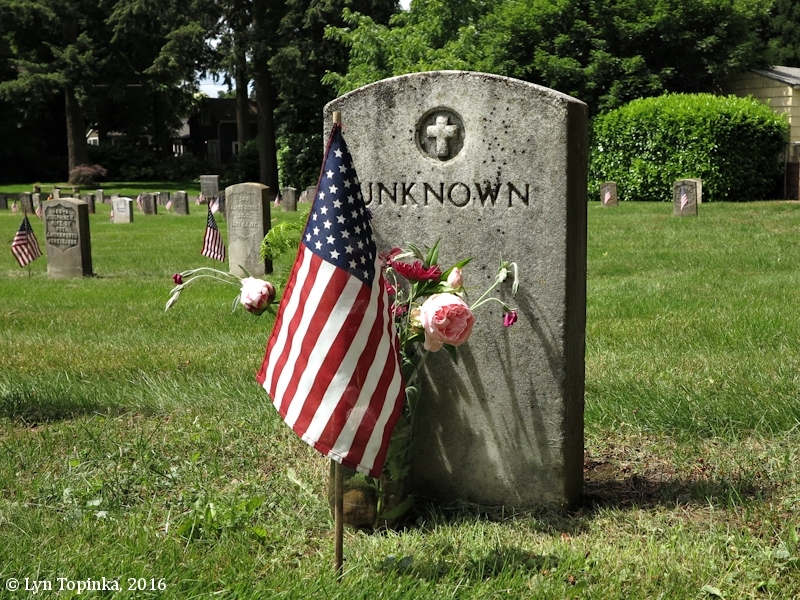 The Vancouver Barracks Military Association's database lists him as "unknown". W.F. 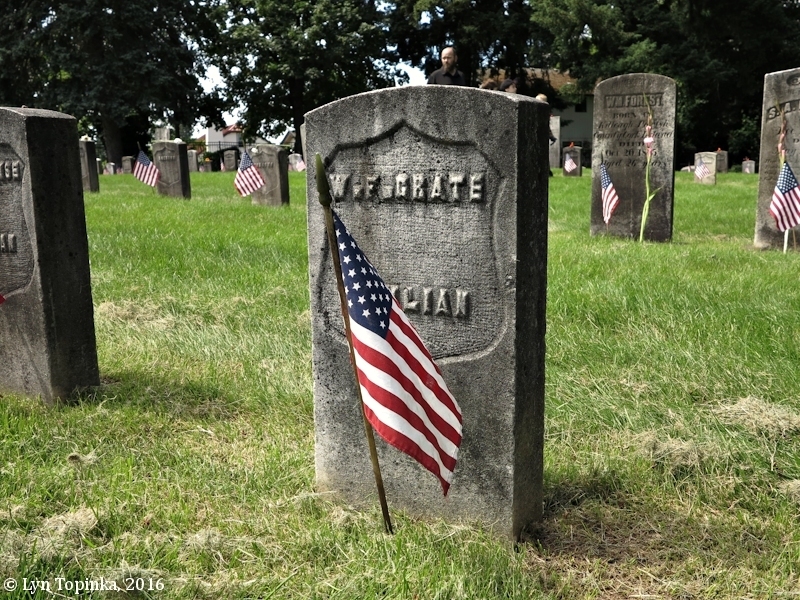 Grate died on July 11, 1858 and was interred at the Post Cemetery on July 12, 1858. 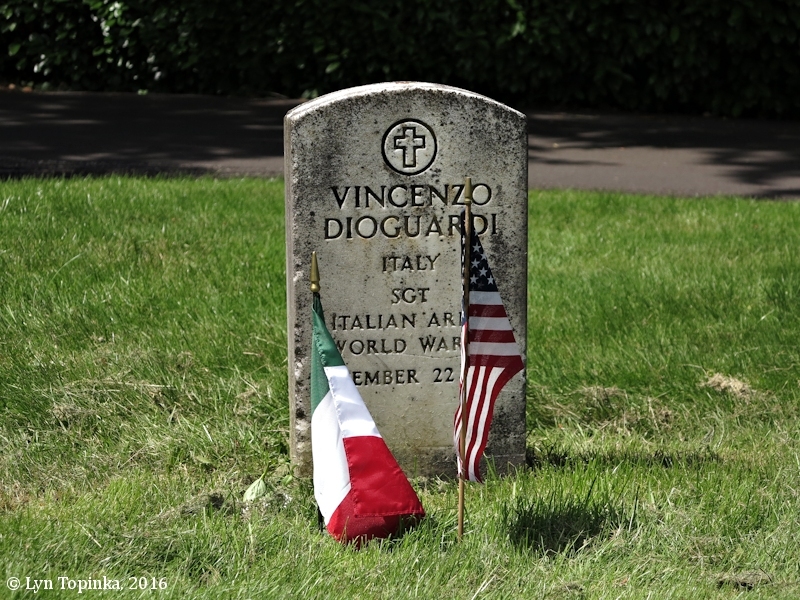 [Source: Vancouver Barracks Military Association website, 2016] ... Presumably he was first interred at the 1857 Post Cemetery before being re-interred at the 1882 Post Cemetery. 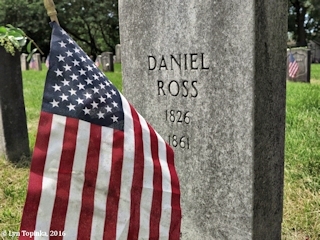 Click image to enlarge Civilian Daniel Ross, Memorial Day, Vancouver Barracks Post Cemetery, Vancouver, Washington. Image taken May 30, 2016. 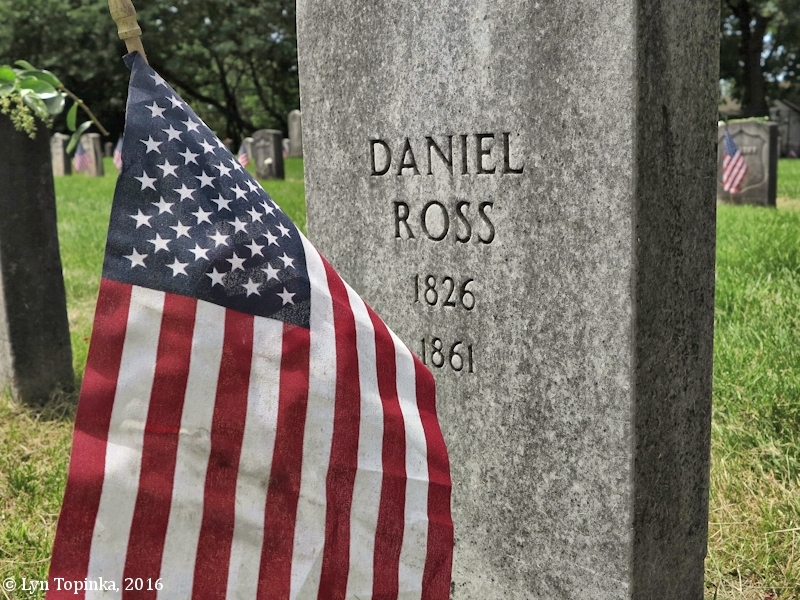 Daniel Ross was a civilian who was born in 1826 and died on July 12, 1861. He was interred at the Post Cemetery on July 13, 1861. [Source: Vancouver Barracks Military Association website, 2016] ... Presumably he was first interred at the 1857 Post Cemetery before being re-interred at the 1882 Post Cemetery. 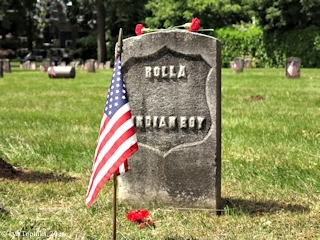 Click image to enlarge Sergeant Thomas J. 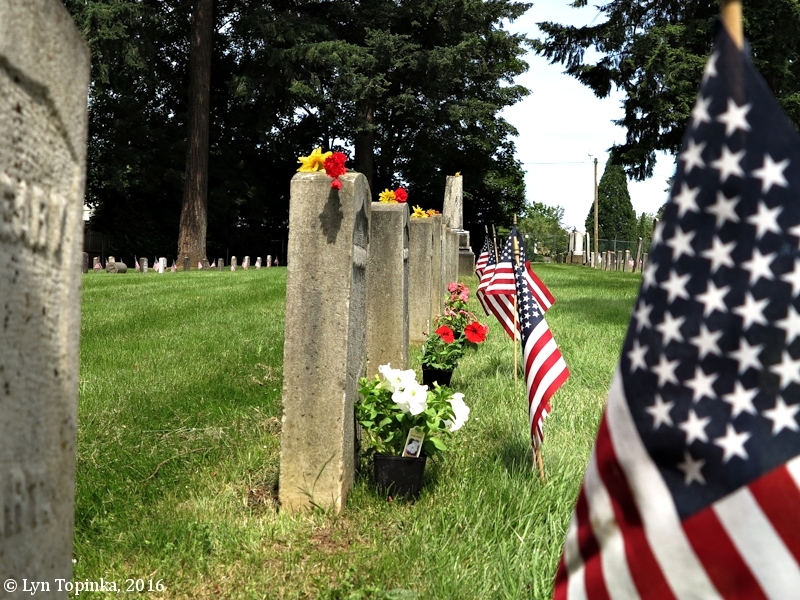 Laws, Memorial Day, Vancouver Barracks Post Cemetery, Vancouver, Washington. Image taken May 30, 2016. Sergeant Thomas J. Laws was born in 1869 and died in the Philippines on January 7, 1900. He was brought back to the United States and interred at the Vancouver Barracks Post Cemetery on March 16, 1900. [Source: Vancouver Barracks Military Association website, 2016] ... Sergeant Laws headstone reads: "Thomas J. Laws, Born July 31, 1869, Killed in battle at Imus P.I., June 13, 1899". 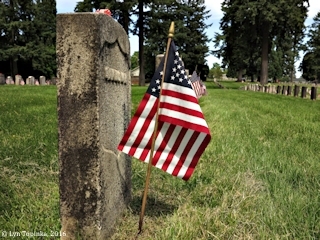 Click image to enlarge Lieutenant Stephen Watson, Memorial Day, Vancouver Barracks Post Cemetery, Vancouver, Washington. 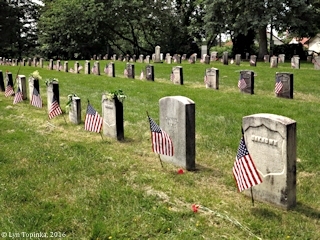 Image taken May 30, 2016. 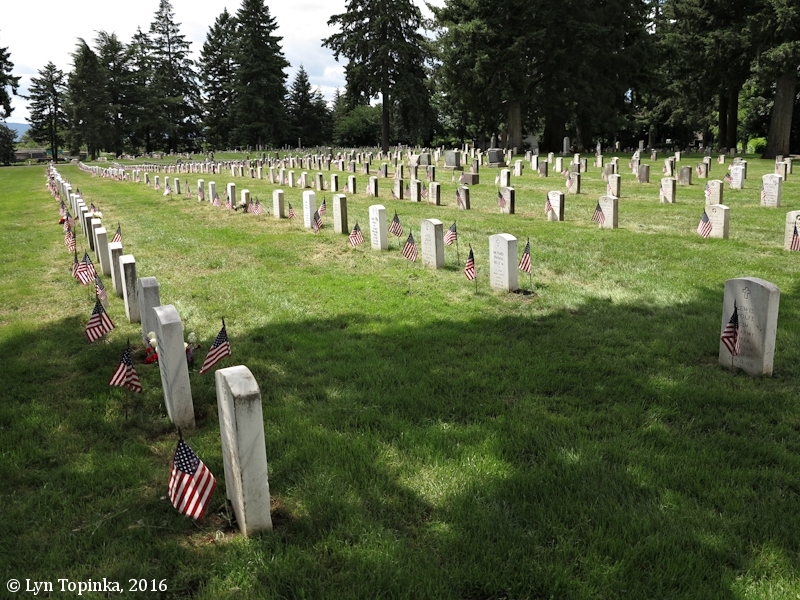 Born in 1928, Lieutenant Stephen Watson died on May 18, 1864 and was interred at the Vancouver Barracks Post Cemetery on May 19, 1864. [Source: Vancouver Barracks Military Association website, 2016] ... Lieutenant Watson's headstone reads: "Lieut. Stephen Watson, 1st Oregon Cavalry, Born in St. Stephens N.B., May 15, 1828, Killed in battle with the Snake Indians near Crooked River Oregon, May 18, 1864."